Background -- I've been replacing all the switches in my house with casetta smart switches. On 3-ways, I've been abandoning one of the switches and replacing with the lutron remote controls. 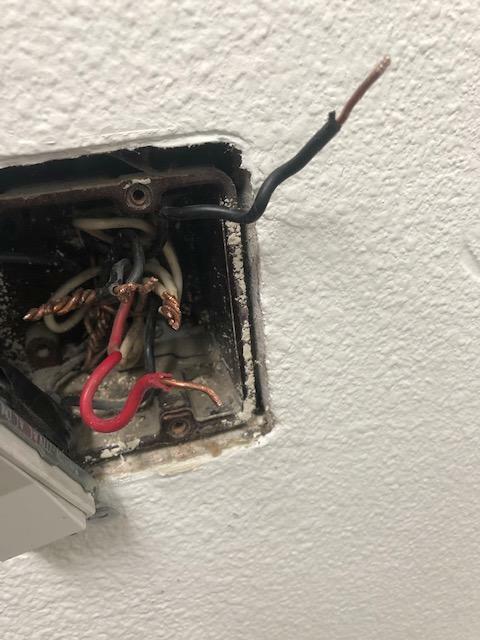 The original/builder/owner of this house was an electrician and wired it himself, so he did a few odd/shortcut things. Today I came across a strangely wired 3-way that I'm not sure what to do with. The existing 3-way switch feeding the load had a jumper between one of the travelers and the load (not sure what the point of this would be). On the source side switch, when I connect either of the travelers to the line, both travelers (on both switch sides, with the wires disconnected) become energized. I'm not sure what to make of that. On the source side, I've wired the casetta with the line, one of the travelers, neutral and ground, leaving one traveler energized but abandoned/capped. The load switch/fixture works regardless of whether I nut together the load with either of the travelers or all 3 together. Does what I've done/any of this sound unsafe? Really not sure what to make of the extra hot traveler. this is the supply box - the 2 blacks in the middle are the line. Black and red above/below are from the same cable and are the assumed travelers. this is the box supplying the fixture. bottom black is the load, other 2 are the travelers. That 26V you are measuring isn't a sign that some weird wiring is making the other traveler hot. It's actually a phantom voltage caused by capacitive coupling from the wired traveler to the unwired traveler -- your meter is high-impedance enough to see it, but since only a tiny current can flow through the small inter-wire capacitance that is coupling this voltage over, it can't actually deliver power, and should be treated as not-live for wiring's sake. Since you have the wires sorted out at this point, you should be able to wire the Caseta as a 3-way according to Lutron's instructions on the topic, which require connecting the mechanical switch at the other end from the junction of the load wire (ex-traveler) from the Caseta with the wire powering the load to the other ex-traveler, which then connects to the traveler wire on the Caseta itself, assuming you have a model of the Caseta that supports multi-way switching using a mechanical switch. 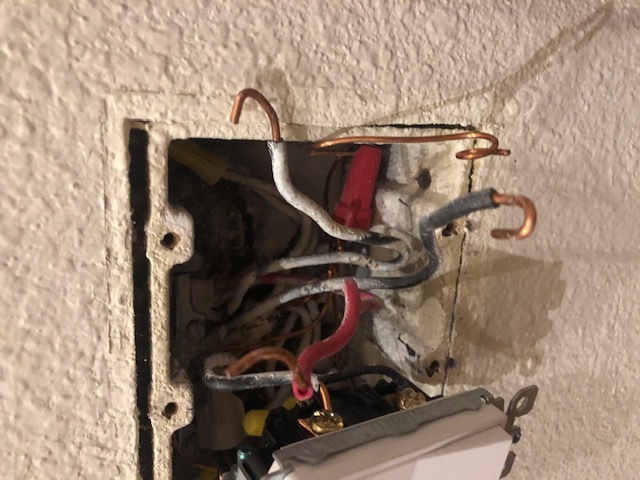 How do I wire a single pole and a 3-way switch in the same box? Are there “uncommon” 3-way switch wirings? Can I safely disable a three way fan switch to use for providing ground to remote three way box? How is this 3-way switch circuit wired?